I'm thrilled and honored to be featured in the current issue of one of my favorite publications, Where Women Create Business. I've enjoyed this magazine since the first issue, Winter 2013, was introduced. 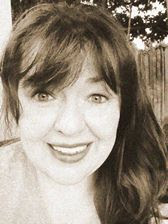 It's truly a must-read for women who are searching for inspiration, valuable insight, advise, and take-aways she can apply to her own business. The creator and Editor-in-Chief of Where Women Create Business, Jo Packham, is also behind Where Women Create and Where Women Cook. You can read more about these publications at WhereWomenCreate.com. I've wanted to design a paperweight around a glass vial for the longest time. 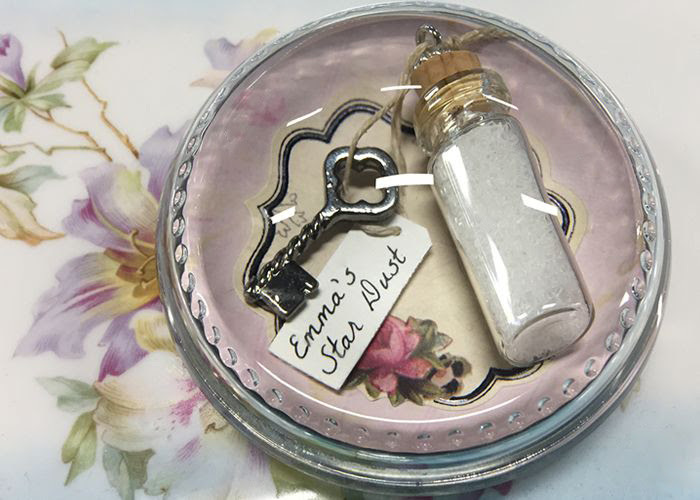 I've recommended them to customers who have asked for my help with items that needed to be encapsulated before they were displayed in a paperweight. For some reason, I've never worked with one until now. This particular design is centered around a glass vial filled with crystal glitter. 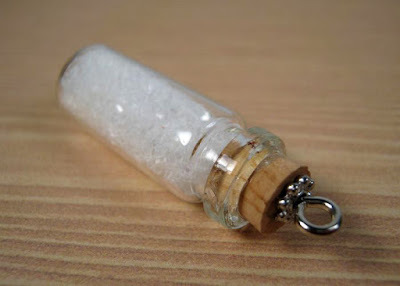 There's a silver bail attached to the cork that seals the vial. Through this, a length of thin twine was looped and tied with a small key and a paper tag that reads, "Emma's Star Dust." There are so many different variations of this design that can be achieved by changing the contents of the vial, the text on the tag, etc. A few that come to mind are wishes, dreams, fairy dust, and potions. 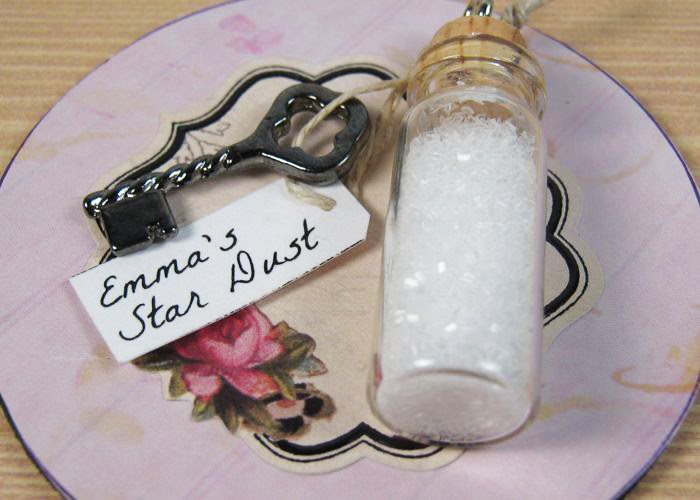 If you rolled up a dollar bill and placed it in the vial, this could easily become Emma's Vacation Fund. This project included just a few supplies. 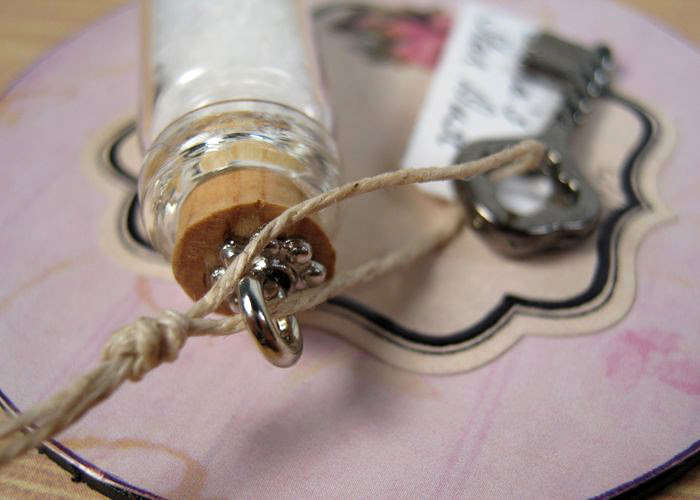 I used an adhesive label for my background, some crystal glitter, a glass vial with cork lid, a key charm, and some thin twine. 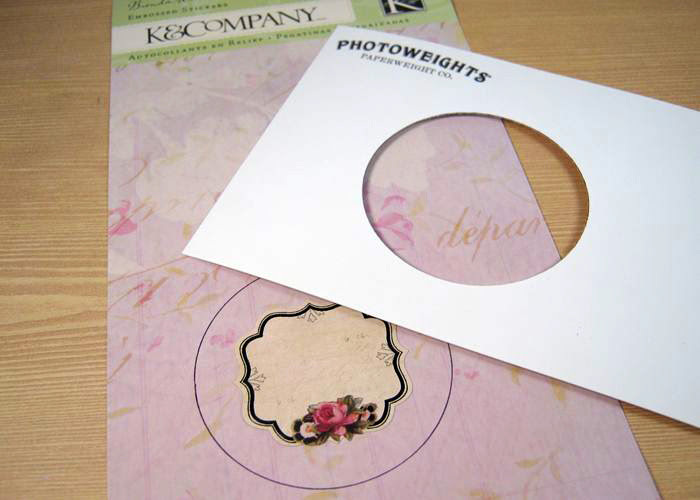 The paperweight kit is the Heirloom Dome which is available at PhotoWeights.com. 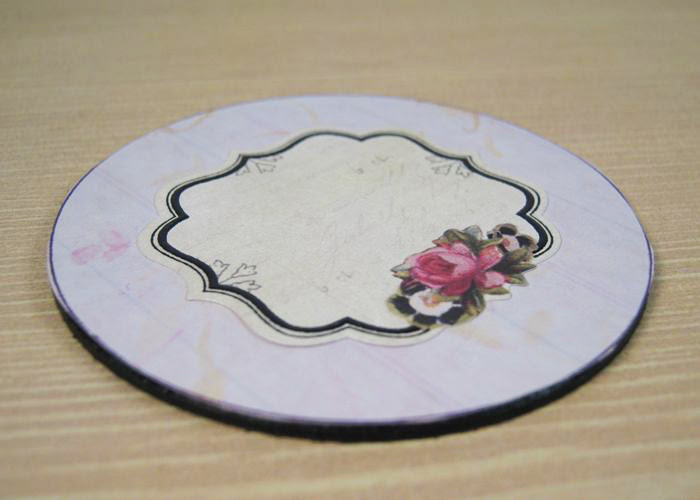 A design like this typically involves selecting a piece of decorative paper to use as the background. 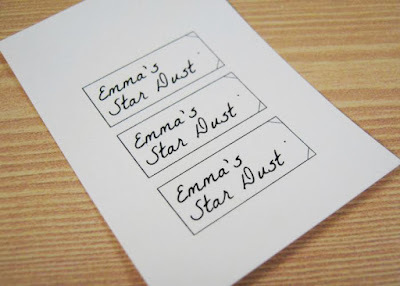 Because the packaging for the sheet of labels I used was the perfect color, I used this instead. After I placed the adhesive label onto the paper, I centered a Design Area Template around the label to trace a cut line. After I cut the paper along the line I traced, it was placed on the adhesive side of the mounting board (included with each PhotoWeights kit). Putting glitter in a tiny vial can be tricky. If you don't have a small funnel, you can do what I did. 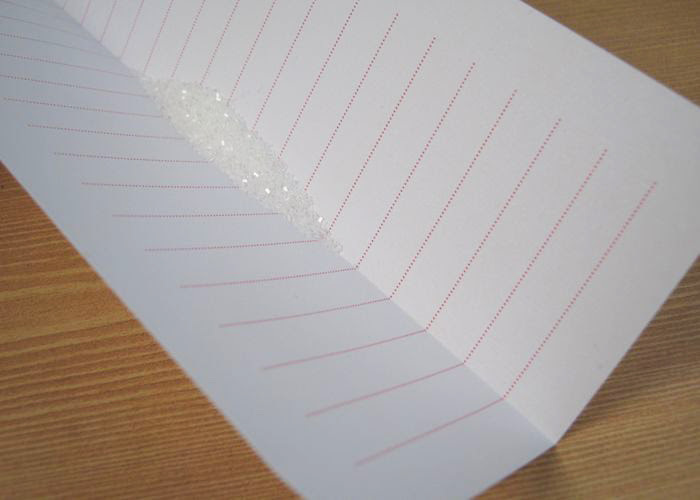 Take a sheet of paper and crease it lengthwise. The crease will guide the glitter right where you want it to go. 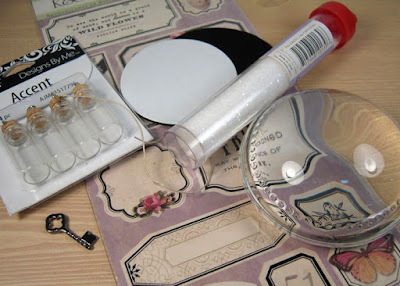 I didn't fill the glass vial completely with glitter because I wanted the glitter to have some movement. Before I replaced the lid, I placed a small amount of clear glue around the cork to make certain it would stay in place. To prevent the glass vial from rolling across the flat background, I used an embossing tool to create an impression in the paper. This impression is also where I applied clear glue. (I used Beacon 3-in-1 Advanced Craft Glue). 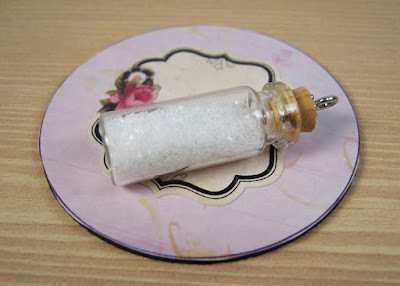 Here's how the vial appeared after it was glued to the background. My mini paper labels were created on my computer using a basic publishing program. I printed a few on card stock paper, just in case I needed extras. After my label was cut out, I used a fine embossing tool to create a hole. 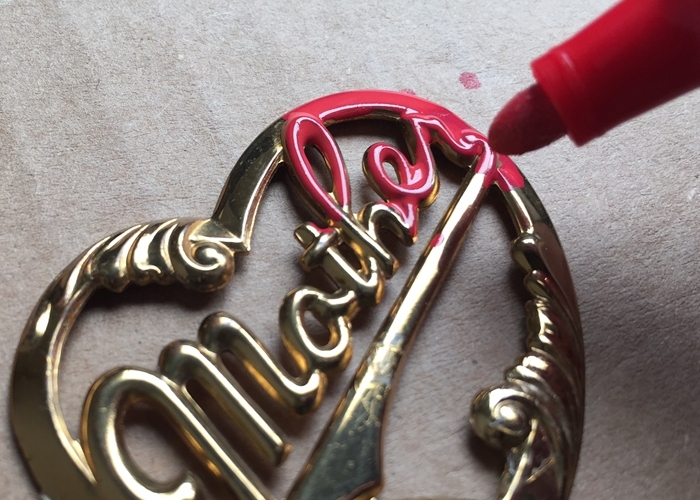 If you don't have an embossing tool, a large pin should work nicely. I looped some thin twine through the key charm, the label, and the bail on the cork before I tied the ends into a knot. 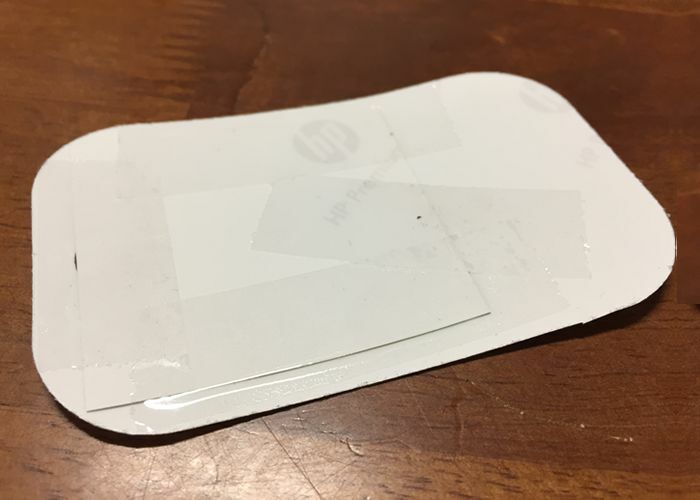 The paper label was attached to the background with hot melt glue. There are two reasons for this. 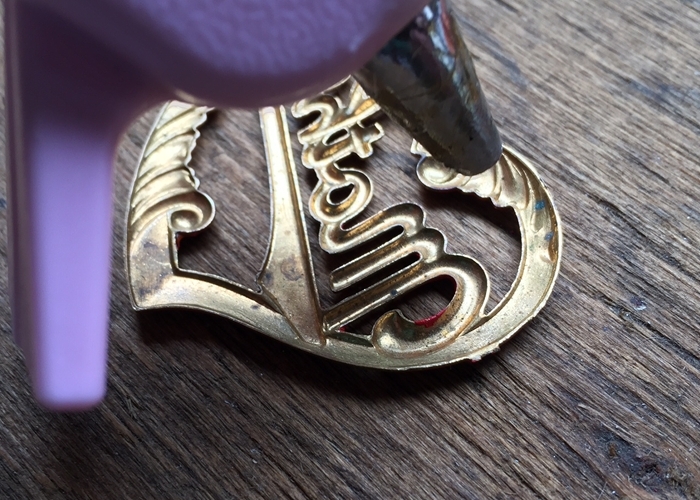 Not only does it adhere instantly, the hot melt glue acts as a spacer to lift the label up from the background to give it some dimension. I used my embossing tool to mark the spot (pin hole) where I applied hot melt glue to hold the key in place. 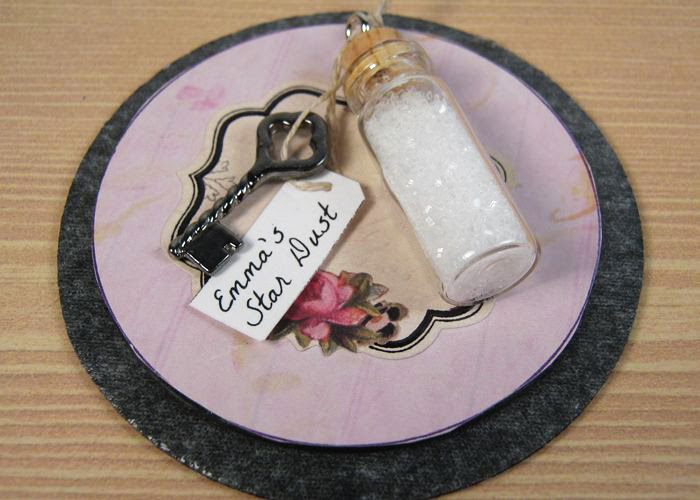 Here's what the finished design looked like before it was placed in the paperweight. 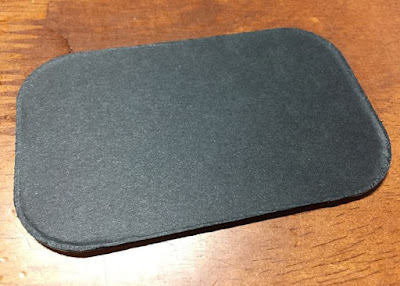 To display the finished design in the paperweight, I centered it onto the adhesive side of the (black) felt bottom pad (included with each PhotoWeights kit). The artwork was placed face down into the bottom recess of the paperweight. The adhesive side of the bottom pad holds it in place. Now that I've created this sample paperweight, I think I'll create one that's labeled Susan's Spare Time. I can always use a little extra of that. 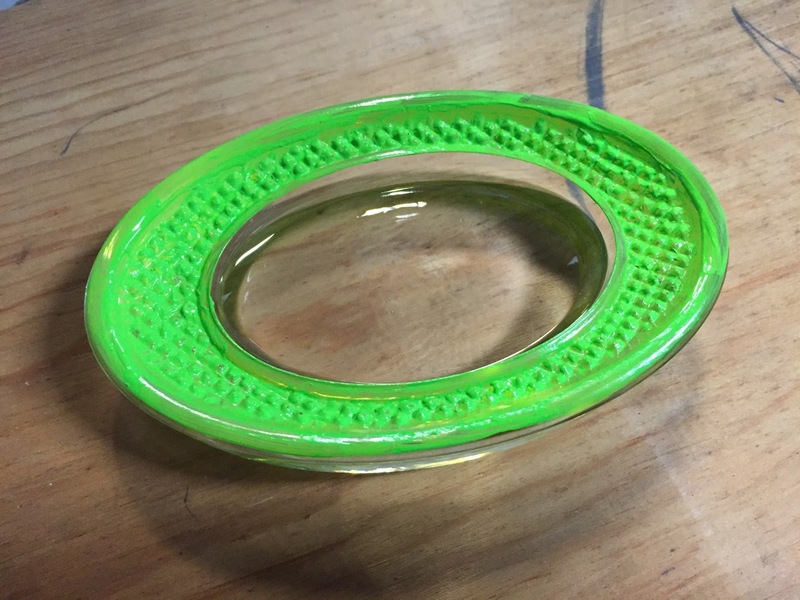 I hope this design idea inspires you to create a paperweight of your own. Most of the emoji merchandise you find in stores ranks high on the tacky scale. 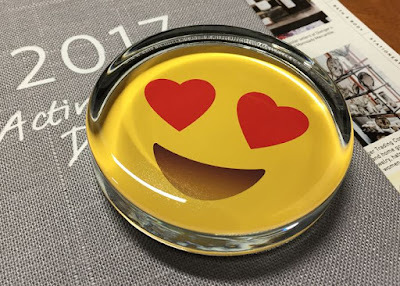 Using our glass paperweight kits (available at PhotoWeights.com), you can create an emoji paperweight that's worthy of the corner office. This is an easy project that involves sizing your emoji artwork to fit the display area of the paperweight style you've chosen. 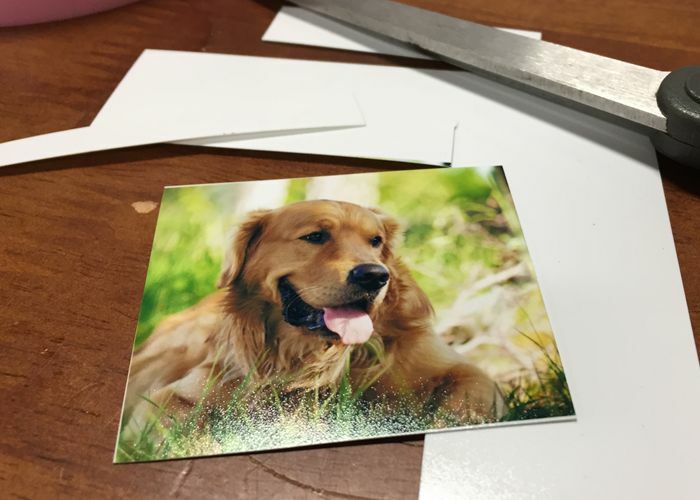 Once the artwork is sized to fit, simply print your artwork onto high quality photo paper. Our assembly instructions will guide you through the remaining steps. Your emoji paperweight can include a single, large icon (as shown in the photo). You can also create a collage of smaller icons or use a series of icons to form a message. 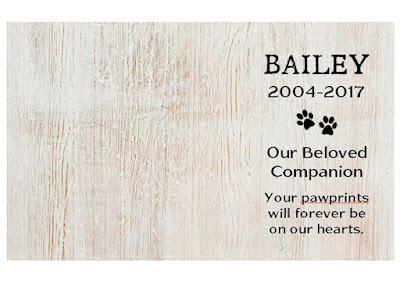 Pet memorial keepsakes are becoming more and more popular. This doesn't surprise me. 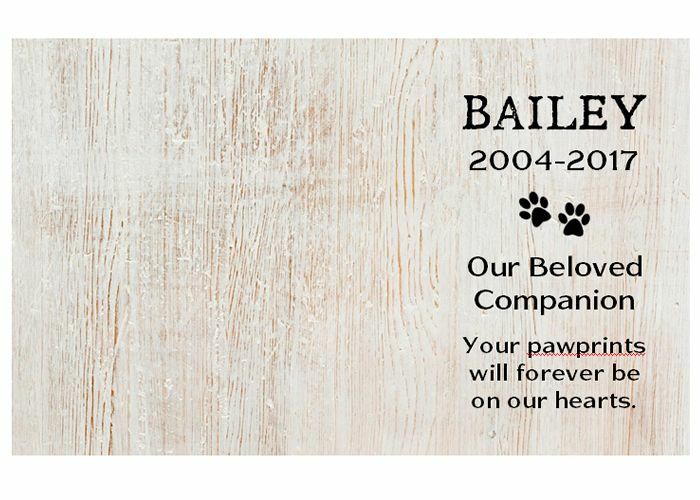 They're a lovely way to combine the photo of a beloved pet with a written sentiment. 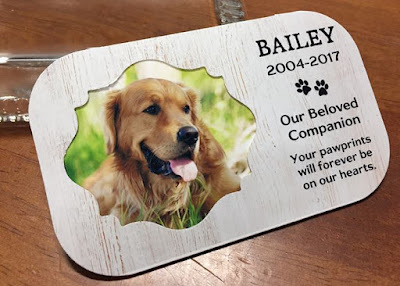 They also make thoughtful gifts for a friend or family member who has lost a four-legged friend. 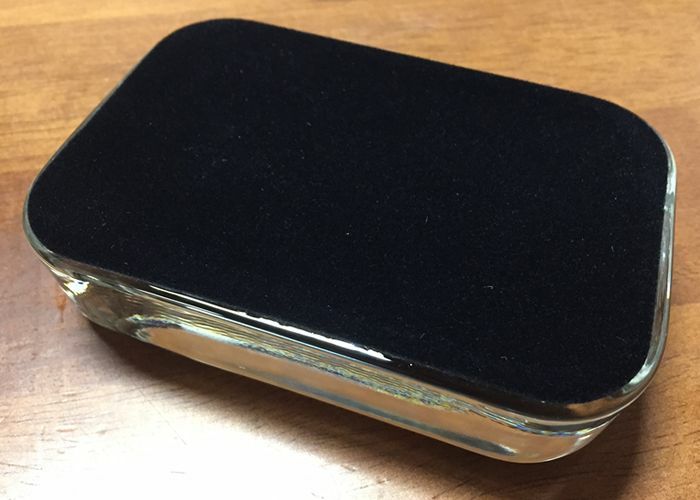 The artwork for this paperweight was created in Publisher. You can use a variety of other publishing programs to create a similar layout. I separated my design into two areas; one for the photo and the other for text. I added a woodgrain background to my design. The background image was sized slightly larger than the red box before the red box was removed. 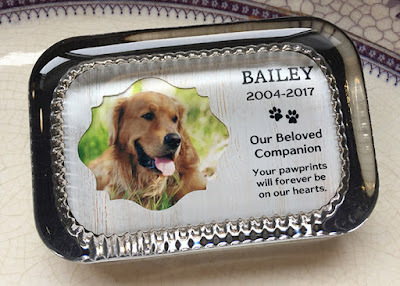 Before you print the final copy of your artwork, print a draft version to make certain all elements of your design will fit within your paperweight's display area. 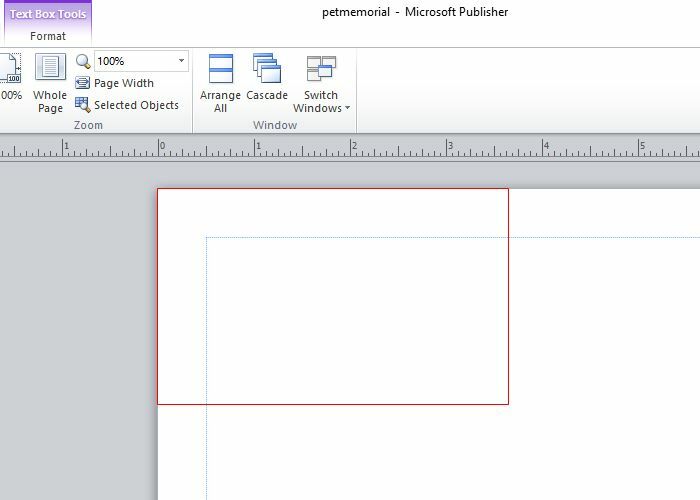 Use a Display Area Template to create a cut line you can follow to trim your artwork. 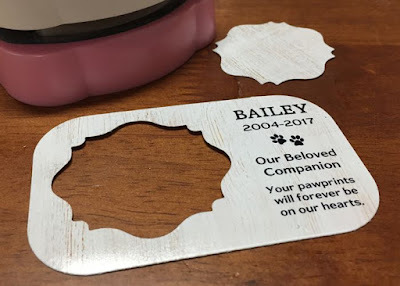 After my artwork was cut, I used a craft punch to create the opening for the photo. I must have at least 10-15 craft punches in my arsenal of supplies. 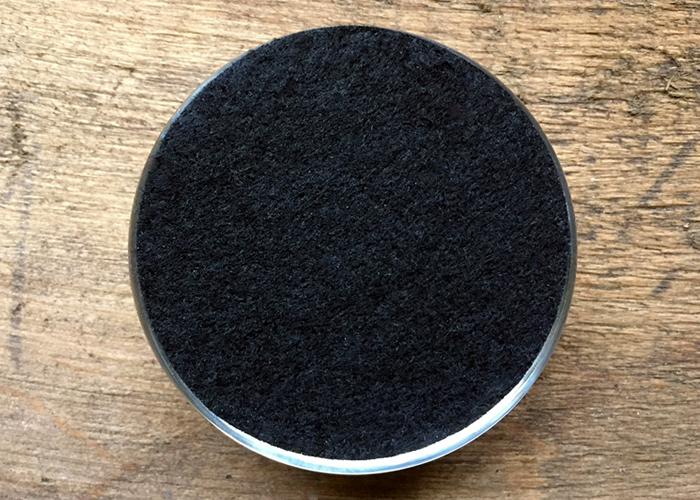 Most craft stores will carry these in a variety of shapes and sizes. The photo for the design was sized to fit within the photo opening before it was printed. 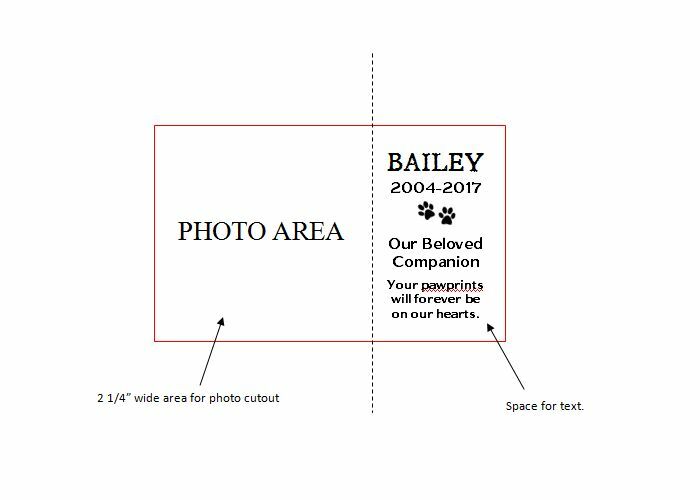 After the photograph was trimmed to fit, it was taped to the reverse side of the design. 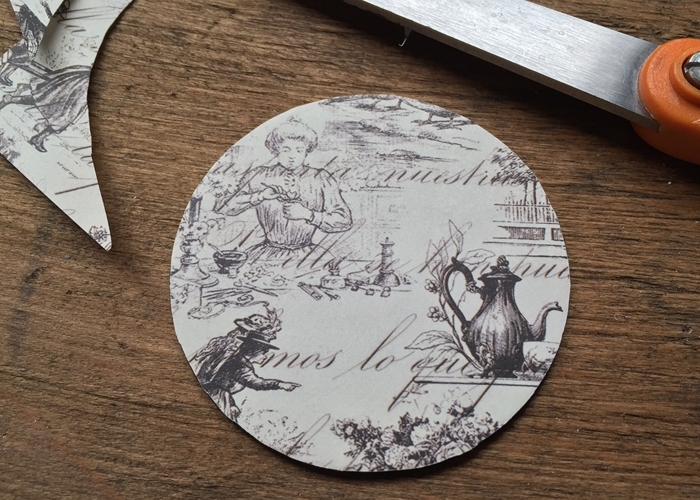 The adhesive side of the mounting board was placed over the completed artwork. I prefer to use craft punches to frame photos because it gives the design some authentic depth and shadowing around the image. 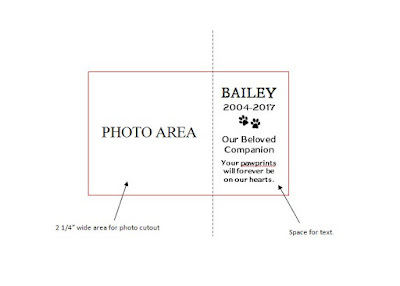 If you'd like to simplify things, you can add a photo directly to your layout and print everything as one piece. 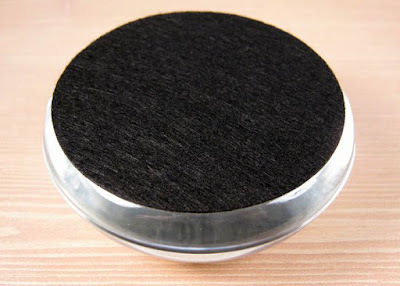 The final step was to cover the base of the paperweight with the black velour pad that comes with each PhotoWeights kit. I hope this post will give you some new ideas on how to incorporate photos and text into your paperweight designs. This is the second post in my series on painting PhotoWeights to achieve a variety of different looks for your glass paperweights. 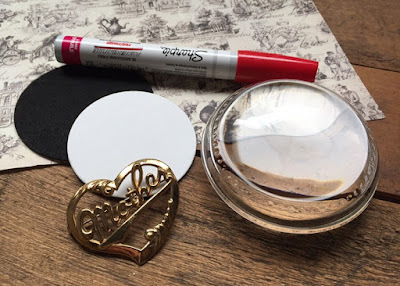 In my first post, Add a Little Color to Your Paperweights with Enamel Paint, I started with a simple project that involved a single color. Today I'll be using two different paints; a clear paint with flecks of glitter and a metallic paint. I love the result when these are layered. As I mentioned in my previous post, I recommend Plaid's line of FolkArt Enamels designed specifically for glass and ceramics. A 2oz bottle sells for around $1.99. They're available in most craft stores. 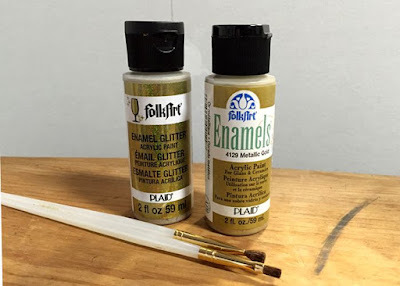 I'm using a glitter paint (FolkArt, 2798 Gold) and a metallic (FolkArt, 4129 Metallic Gold). Remember to follow the instructions for the particular paint you're using. Also, before you begin, be sure to thoroughly clean your paperweight. I started by applying a coat of glitter paint to the bottom surface of one of our Scalloped Paperweight Kits. 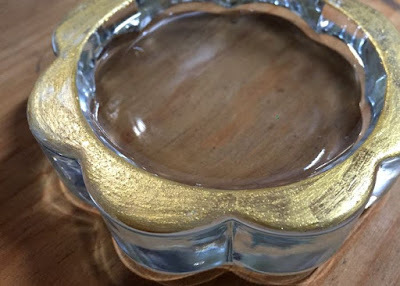 The glitter paint went on cloudy and dried clear. Tip: As you're painting, keep a few slightly damp cotton swabs on hand to clean up your lines and wipe away any small mistakes. 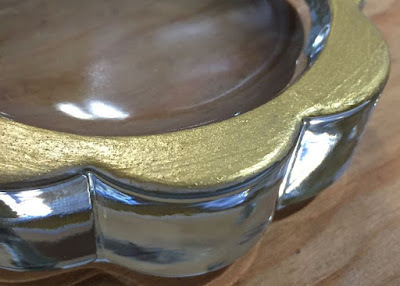 After the glitter paint dried for an hour, I brushed on a coat of metallic, gold paint. 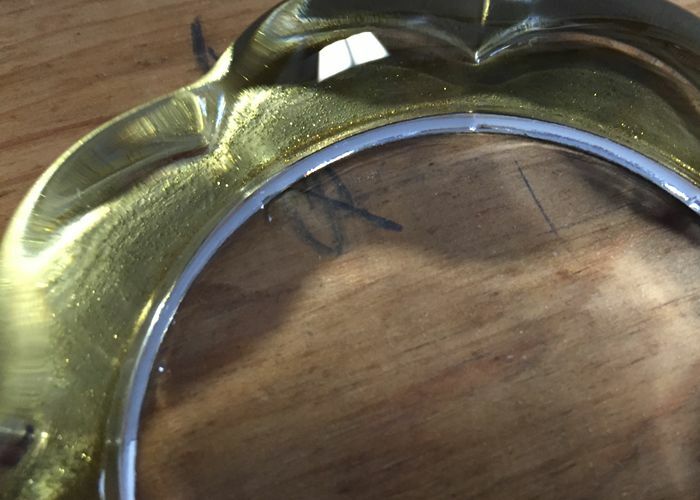 As you can see in the photo above, the metallic paint appears semi-transparent in some areas. Another coat of metallic paint should give you complete coverage. After the previous coat dried for an hour, I brushed on the second coat of metallic paint. 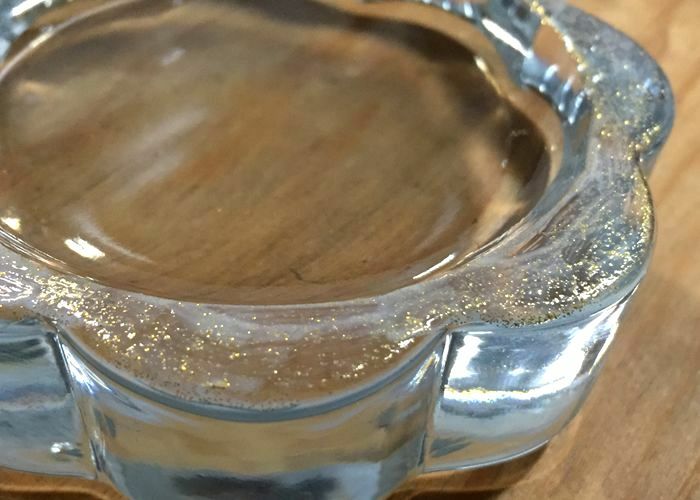 When you look at the paint through the top of the paperweight, the glitter sparkles against the metallic background. FolkArt enamel paints have a recommended cure time to make the paint top-rack, dishwasher safe. It also makes the paint more durable. The cure time for the paint I used is 21 days if you're air drying. If you're like me, and you're not that patient, you can air dry the paint for one hour before baking it in the oven. 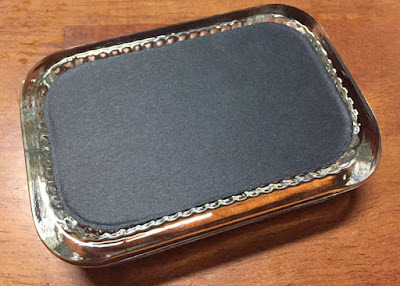 To cure the paint in the oven, I set the paperweight on a metal cookie sheet, placed it in a cold oven, and set the temperature to 350F. After the oven reached temperature, I set my timer for 30-minutes. 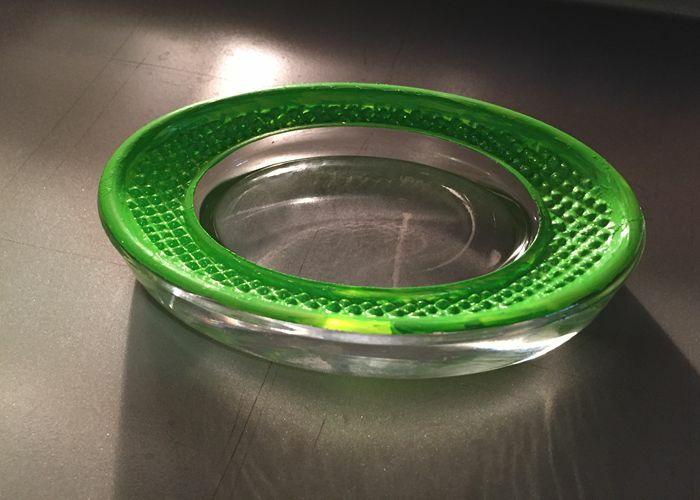 When the time was up, I turned the heat off and allowed the paperweight to cool in the oven before I removed it. Be sure to follow the instructions for the particular paint you're using. 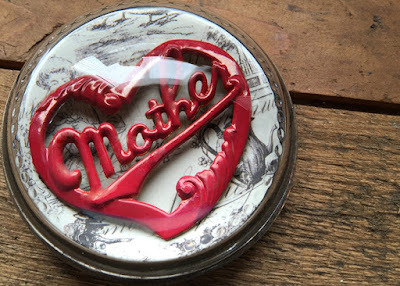 After the paint has cured, you can personalize your paperweight as your normally would. The self-adhesive bottom pad can be adhered directly to the painted rim. 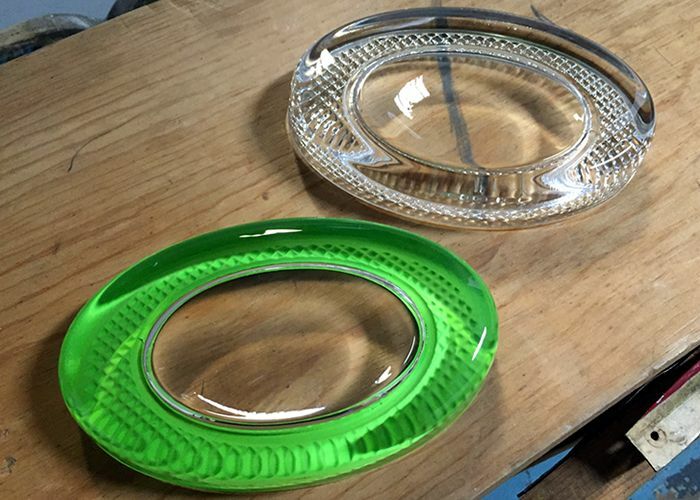 Applying paint to the underside of your paperweights can change the appearance of your finished design entirely. 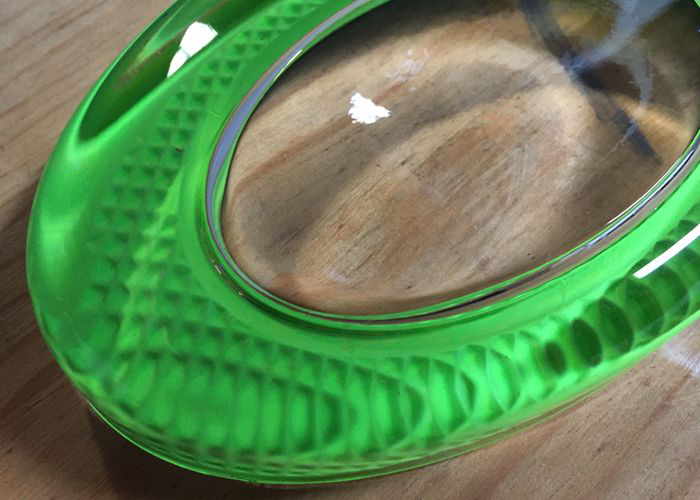 You can paint the glass to coordinate with the decor of your office. You can also choose a color that compliments the artwork or photograph being captured. Painting your paperweights can be as simple and straightforward as using a single color, like the example pictured above. 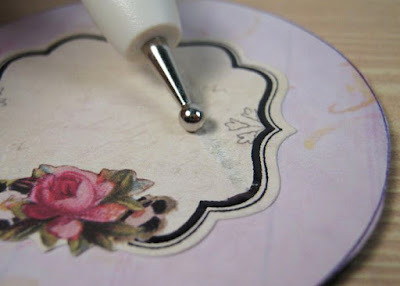 You can also use decorative painting techniques to achieve specific looks. My next few blog posts will show you several examples of how you can use paint with PhotoWeights. I recommend Plaid's line of FolkArt Enamels designed specifically for glass and ceramics. These are available in most craft stores and sell for around $1.99 for a 2oz bottle. I'm going to start with a simple project that involves a single shade of paint applied to our Elegant Oval Paperweight Kit. The color is Lime Green (Plaid FolkArt Enamels 4138E). Although this paint has excellent coverage, you should plan to do this in no fewer than two coats with one hour of dry time in between. The number of coats required will vary by paint brand and color. As you're painting, keep a few slightly damp cotton swabs on hand to clean up your lines and wipe away small mistakes. Remember to follow the instructions for the particular paint you're using. Also, be sure to thoroughly clean your paperweight before you begin. The first coat of paint (shown above) should be applied evenly to ensure you've covered all areas of the glass. If you look closely (click the image to enlarge), you can see the paint appears semi-transparent in some areas. This is perfectly fine. This first coat is what will be visible through the top surface of the paperweight, so turn it over occasionally to check your work for air bubbles and skipped spots. Wait one hour before applying a second coat, or according to your paint's directions. The second layer of paint should give you full coverage. If any spots need to be touched up, this can be done when the paint is mostly dry. 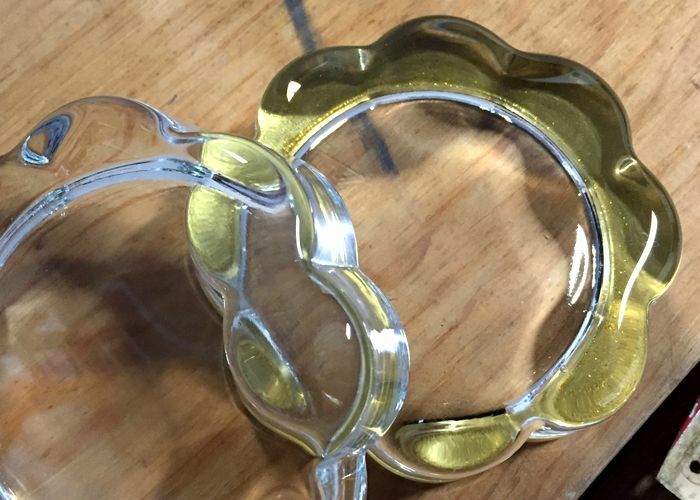 The photo above shows how the paint will appear when viewed through the paperweight. 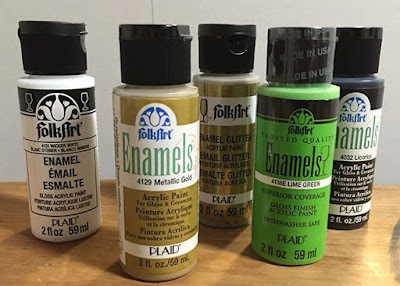 FolkArt enamel paints have a recommended cure time to make the paint top-rack, dishwasher safe. Although you're probably not going to run your paperweights through the dishwasher, I cure my paint because it makes it more durable. The cure time for the paint I used is 21 days if you're air drying. You can also use the method I prefer which is to air dry for 1 hour before baking it in the oven. To cure the paint in the oven, I set the paperweight on a metal cookie sheet, placed it in a cold oven, and set the temperature to 350F. After the oven reached temperature, I set my timer for 30-minutes. After a half-hour, I turned the heat off and allowed the paperweight to cool in the oven before I removed it. 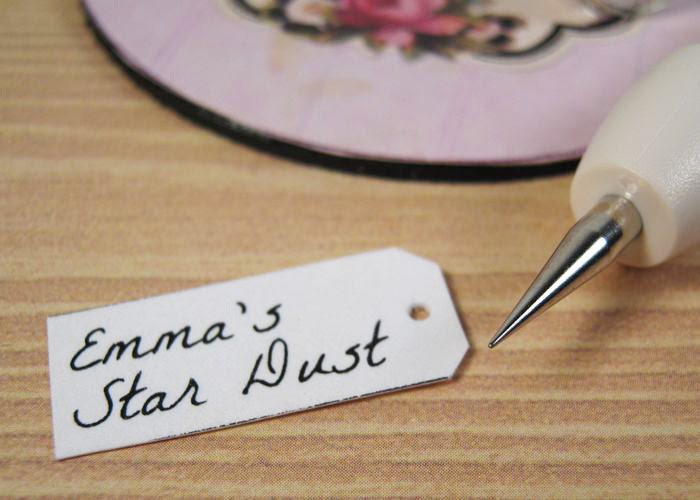 After the paint has cured, you can personalize your paperweight as you normally would. The self-adhesive bottom pad can be adhered directly to the painted rim. 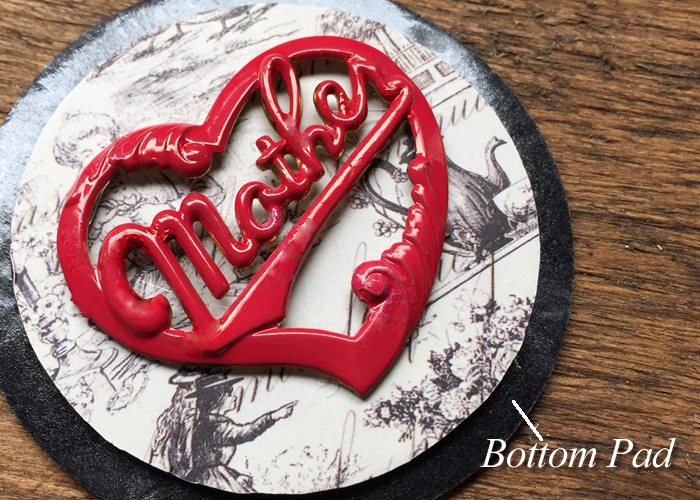 In honor of Mother's Day, I wanted to create a paperweight for our Design Blog that put a modern spin on a classic 1950s Mother's Day pin. Some lipstick red paint and a scrap of toile print paper are all it took to give this pressed metal relic the character it desperately needed. The materials I used for this project include an Heirloom Dome Paperweight Kit, scrapbook paper with a toile pattern, the "Mother" pin, and an oil based paint pen in red (Sharpie). 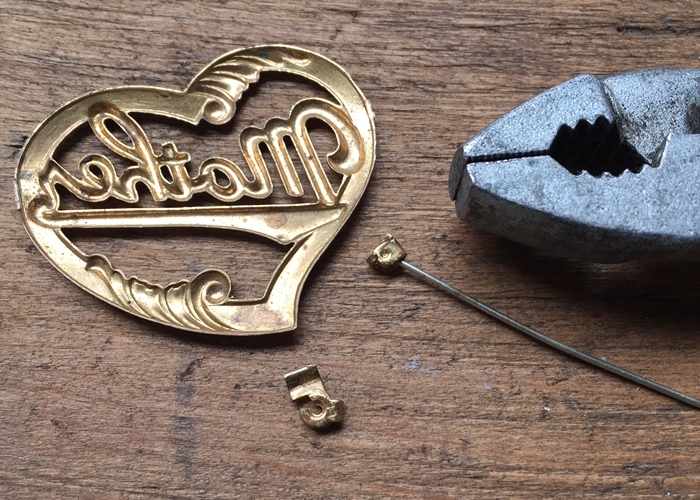 I started by removing the pin mechanism with a pair of pliers so the back of the piece would lay flat. The pin was placed on a scrap piece of cardboard before it was painted with an oil based paint pen made by Sharpie. Spray paint would also work very nicely for this step. You could even try a bright shade of nail polish. 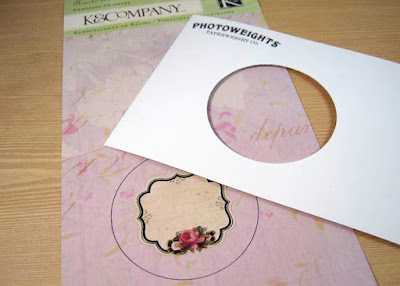 The self-adhesive mounting board was placed on the back of the scrapbook paper and trimmed with a pair of scissors. After the pin was glued to the mounting board, the mounting board was placed in the center of the adhesive side of the paperweight kit's bottom pad. 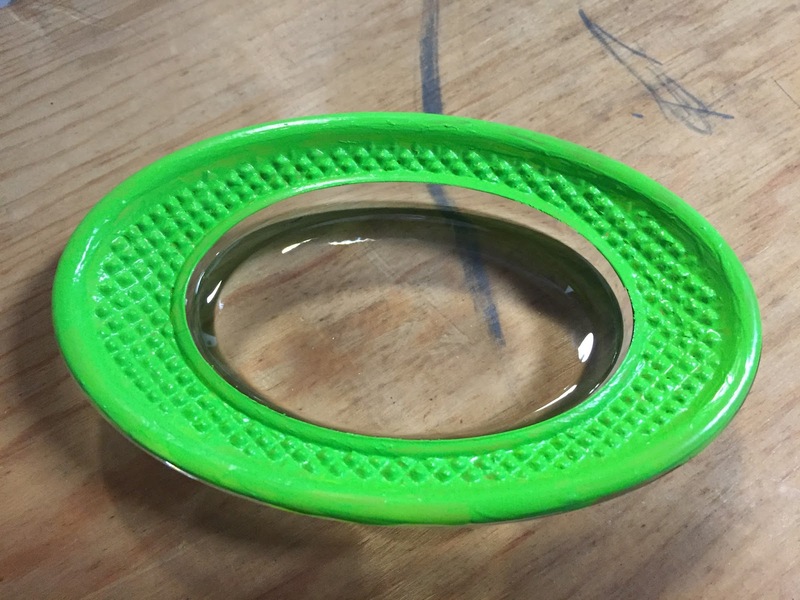 The adhesive area of the bottom pad that remains exposed is what will adhere to the bottom of the paperweight. After the paperweight was cleaned to remove any dust and fingerprints, the bottom pad was centered onto the bottom of the paperweight and pressed into place. 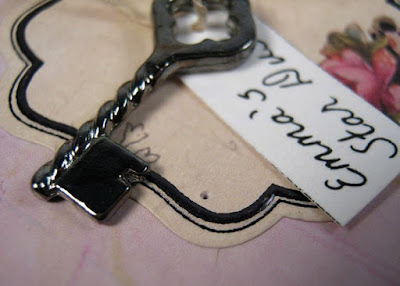 This design idea can be applied to so many different things... coins, Monopoly pieces, or something as simple and ordinary as a key. Brightly painted, these objects become art.